Editeur : Metropolitan Film & Video. 2008. Titre : Mongol. 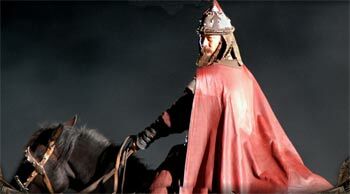 The early part in the biography of Genghis Khan, from 1172 to 1206. 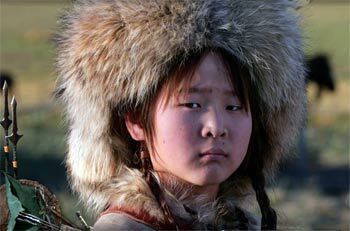 Nine-year-old Temudgin heads out with his father, a khan, to find himself a future bride. On the way back, the father is poisoned by a rival clan. His own clan will not accept the leadership of his legal heir, and they cast out the family. The boy grows to be a fearless young man, claims his bride, makes loyal allies and bitter enemies, and ultimately succeeds in uniting the tribes of Central Asia under his rule. Since his first film, Sweet Dreams in the Grass (1984), Sergei Bodrov has established himself as one of the leading directors in the Russian-speaking world (I Wanted to See Angels from 1992, Prisoner of the Mountains from 1996, Bear’s Kiss from 2002, Nomad from 2005, and more). In his new film, the first in a projected trilogy about the charismatic conqueror whose legions swept through Asia and reached the banks of the Dnieper, he realizes an old dream. 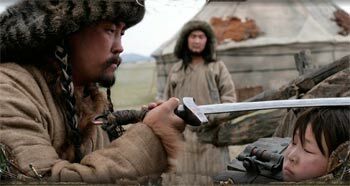 Knowing how to choose shooting locations (in Kazakhstan and Mongolia), and to take absolute advantage of them in order to captivate the viewer, Bodrov builds a spectacular epic that balances between the realistic and legendary elements of the story, powerful drama, and humorous moments. The production values are typically excellent, and a special mention goes to the music and set and costume design. 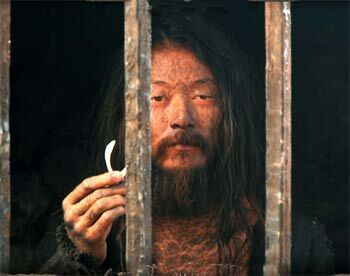 Nominated for the 2008 Best Foreign Language Film Oscar.